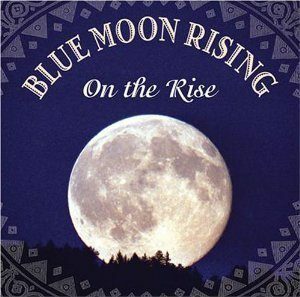 “On the Rise” marks the third highly successful release from Blue Moon Rising, a lively Tennessee-based bluegrass group. 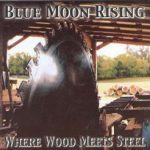 Their 2002 “Where Wood Meets Steel” CD (Crosscut CR 1133) brought the national spotlight in their direction. 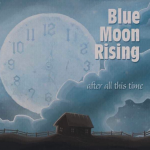 On this album, BMR is Chris West (guitar), Keith Garrett (mandolin, guitar two tracks), Randall Massengill (tenor vocal, guitar one track), Justin Jenkins (banjo), and Tim Tipton (bass). Jenkins’ banjo-playing shows his strong influence of the styling of J.D. Crowe. BMR also added guitarist/tenor singer Randall Massengill within the recent past. Randall spent 9 years playing guitar and singing with the bluegrass gospel band, New Road. On this project, the band’s third album, guest dobro-player Randy Kohrs joins in on three songs, while award-winning fiddler Ron Stewart provides just the right touch on seven tracks. Jenkin’s and Garrett’s original instrumental “Sling Blade” gives all the picks a chance to shine. Stewart also engineered this album. 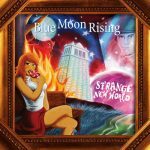 Like “Where Wood Meets Steel,” this album emphasizes originals, mostly written by band members. Chris West has a flair for songsmithing, and he contributes some fine material to the bluegrass canon. Tipton and Garrett also get involved in the songwriting. It’s a good team and collaborative approach to build the band’s peerless sound. Lead vocals are also passed around between Garrett, West and Massengill. The band’s quartet is featured on “Holy Manna,” with Jenkins handling the baritone vocal harmony. This album offers plenty of highlights, and a radio programmer can’t go wrong by airing any of the songs. Highlights are Modern Day Outlaw, PaPaw Taught Me, The Crime I’m Guilty of, I Keep Callin’, and He Arose.